Having the ability to sell a product or service online opens a world of opportunity which simply did not exist a decade and a half ago. The potential to reach customers in new territories or expanded regions, at any time of day, has given MSPs the ability to expand their reach beyond their immediate geographic location. However, simply building a website to sell your product or service online does not necessarily mean you will achieve online sales success. Like all businesses, an online business needs a strategic marketing plan to drive potential customer traffic to your site and an active sales force to augment the technology and drive home the sale. Thankfully selling backup services online is no different to selling any other online product or service. Lessons and strategies from other industries can be honed and adapted to fit the nuances needed to ensure success. There are several online sales strategies that have a proven track record when it comes to online sales which can be adapted to sell your online backup services. These include carefully selecting your target market, creating high quality content, ensuring your site is mobile friendly, ensuring you have an adaptable product pricing strategy and of course ensuring you have the infrastructure ready to deliver services once customers subscribe. Target market selection is a key marketing objective for any business. Targeting customers who may need your services is not only an efficient use of marketing resources but also ensures you gain the sales traction you need. When it comes to online backup services defining your potential target market is key as your online marketing strategy is built on this foundation. For example, if you plan on targeting customers in another country, you need to have the necessary infrastructure in place to handle multi-currency transactions. You may also need to abide by any data protection laws that govern that market. In addition, you may want to consider other standard business strategic factors such as what is the potential size of the market, what competition do you face and does the target market have the infrastructure you need to ensure you can deliver your backup services successfully. Although it may not seem like a business function, building quality content to drive traffic to your website is essential in an online world where most commercial enquiries begin with an Internet search. If your business is visible on the first page of a search result, it goes a long way in ensuring your website receives the potential customer visits you need. Furthermore, creating relevant content, which is useful and provides appropriate insights into online backup best practices, positions your business as a thought leader in the industry which builds the trust you need to ensure your leads turn into sales. All Probax customer have free access to a complete digital marketing toolbox, complete with industry-specific content including email templates, event invites and social media posts. The impact mobile phones have had on business in the past decade cannot be underestimated. Ensuring your website is mobile friendly is essential in providing a usable experience to potential customers visiting your site. As many users use mobile phones to access their social media apps, clicking on links provided in social media feeds you market to is a sure way to drive traffic to your site. Naturally, if your site is not mobile friendly, the chances of a potential customer going through the effort of navigating to your site using a desktop later are very slim. Building your site for mobile ensures you remove any obstacles potential customers face in finding and subscribing to your service. Product lines and pricing levels are as essential in the online world as they are in brick and mortar establishments. The composition of these marketing factors is driven by the target market and alignment is therefore needed to ensure a successful marketing mix. For example, your product and pricing strategies may differ from region to region. 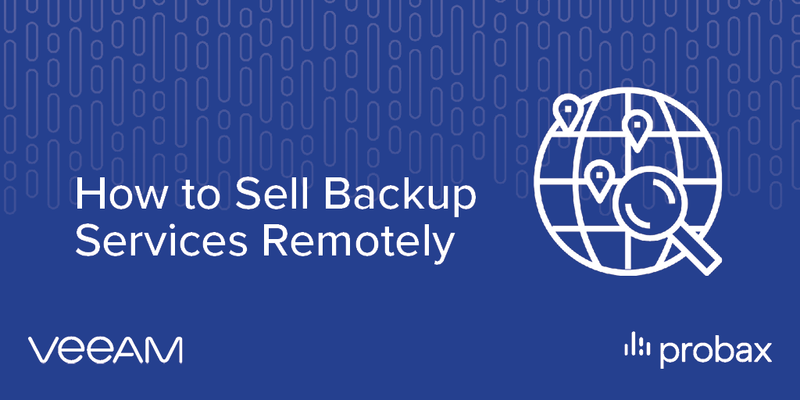 You may need to sell smaller backup packages to developing markets on a pay-as-you-go basis to meet the economic realities of operating in such an environment. In more established markets you may need to adapt your pricing to counter competitive forces or even add additional services to an existing backup service to entice customers to subscribe to your service. The point being product and pricing need to be adapted to ensure they align to the market you are targeting. Once you have your marketing machine in full swing which is driving traffic to your site with new subscriptions being signed daily, it is essential that you have the necessary infrastructure in place to deliver the service you have promised. The problem with online sales is that you could be inundated with new customers in a very short space of time which could place your existing infrastructure under strain. To ensure you have the capacity to meet new demand it is therefore always a good idea to partner with a third-party service provider like Probax who has the scale, footprint and capacity you need to ensure you deliver the backup service you have promised your global customer base. Want to discover how to overcome common lead gen challenges MSPs face when selling backup? Download our informative whitepaper below!